A beautiful smile isn’t the only reward you’ll get at Angle Orthodontics! Starting at your next visit, you can earn your first reward points! 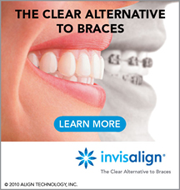 This program is designed to motivate and reward you to achieve your orthodontic goals in a timely manner. These reward points will only be given out at your regularly scheduled appointments and not at any emergency visits. You must keep them in a safe place because we will not replace any lost reward points. Points must be redeemed on the date of your braces and/or appliance removal only. You will then get a gift card to Amazon! !